Joseph Lade Pawsey, physicist, was born on 14 May 1908 at Ararat, Victoria, only child of Victorian-born parents Joseph Andrews Pawsey, farmer, and his wife Margaret, née Lade. Gifted with ‘an unusually inquiring mind’, young Joe attended state schools at Lalkaldarno (Stavely), Coleraine and Camperdown. In 1922, he won a scholarship to Wesley College, Melbourne, where he did well in physics and mathematics. After he graduated from the University of Melbourne (BSc, 1929; MSc, 1931), he entered Sidney Sussex College, Cambridge (PhD, 1935); he worked under JA Ratcliffe at the Cavendish Laboratory, investigating the reflection of radio waves by the ionosphere. In 1934, Pawsey joined the research staff of Electrical & Musical Industries Ltd at Hayes, Middlesex. He gained extensive experience in aerial design and contributed to the introduction of television. At the register office, Uxbridge, on 7 September 1935 he married Greta Lenore Nicoll, a 32-year-old Canadian. Returning to Australia, he began work in Sydney in February 1940 at the radiophysics laboratory which had been established by the Council for Scientific and Industrial Research (Commonwealth Scientific and Industrial Research Organisation) to develop and manufacture radar equipment. One group that he led produced a microwave set for the Royal Australian Navy; another, under his direction, investigated the ‘super-refraction’ of radio waves in the earth’s atmosphere. By the end of World War II the staff of the radiophysics laboratory had grown to more than three hundred; they were encouraged to remain and turn their attention to peacetime projects. Pawsey, the laboratory’s most senior and respected scientist, had seen secret reports during the war which described how radar sets had sometimes been jammed by interference from radio waves, probably coming from the sun and possibly related to the appearance of sunspots. He tried to investigate these reports in 1944, using a small aerial mounted outside a laboratory window. Although this makeshift attempt failed, his curiosity had been aroused. In September 1945, assisted by Ruby Payne-Scott and Lindsay McCready, Pawsey began new observations of the sun, using a radar aerial at Collaroy. Success came almost immediately with steady radio emissions being recorded, even though it was clear that sunspot activity was not the cause. The emission seemed to indicate that regions of the sun had temperatures as high as one million degrees Celsius. Pawsey’s results were greeted with disbelief until it was realised that he and his team had measured temperatures, not on the sun’s surface, but in its corona. These studies of the ‘quiet’ sun marked the effective beginning of a new branch of science which he named ‘radio astronomy’. Pawsey next turned his attention to the strong, variable radio emission which wartime radar operators had suspected was associated with sunspots. The problem confronting him was that no existing radar aerial could pinpoint sunspots as the source of this type of radiation. He devised an instrument known as the sea interferometer ‘ an aerial placed on a cliff-top and facing out to sea. At sunrise, the aerial would pick up two signals, one direct from the sun and the other reflected from the surface of the sea. The two signals could then be combined to form an interference pattern, from which information could be obtained about the size and position of the source of the radiation. Early in 1946, Pawsey began observations with the sea interferometer at Dover Heights, south of Sydney Heads. The timing was fortunate. Within a few days, one of the largest groups of sunspots ever recorded began its slow transit of the sun’s disc, causing major disruptions to radio communications on Earth. Pawsey’s early-morning interference patterns proved that the strong radio emission originated from the vicinity of the sunspots. Although cliff-top aerials were soon outmoded, interferometry became the fundamental principle of many of the world’s radio telescopes, including the Australia Telescope, completed at Narrabri in 1988. The introduction of interferometry was probably Pawsey’s most important contribution to radio astronomy. Others at the laboratory quickly took up the study of radio emission from the sun; they later investigated waves emanating from more distant celestial objects. Small, relatively independent teams built their own radio telescopes and began operating at field-stations scattered around Sydney. As the Officer-in-Charge of this research and Assistant Chief (from 1951) of the Division of Radiophysics, Pawsey faced the challenge of co-ordinating and guiding the teams which worked in comparative isolation and sometimes in competition with each other. His tall, angular frame soon became a regular sight at the field-stations, where he suggested research projects, helped in the design of equipment and advised on the best observational methods. Above all, he was a dependable critic when it came to analysing data and presenting results for publication. Scientific papers from the teams were expected to meet his high standards of clarity and accuracy. Straightforward, honest and humble, Pawsey was scrupulous in acknowledging his colleagues’ achievements. In the 1950s, he published relatively few papers himself, having sacrificed his own research to his duties as leader of the teams. Somehow he found time to write ‘ with RN Bracewell ‘ Radio Astronomy (Oxford, 1955), the first comprehensive text on the subject. The Australian National Research Council awarded him its Lyle Medal (1953). A Foundation Fellow of the Australian Academy of Science in 1954, he was elected a Fellow of the Royal Society, London, in the same year: he gave the academy’s inaugural Matthew Flinders lecture in 1957 and won the society’s Hughes Medal in 1960. The Australian National University conferred an honorary DSc on him in 1961. 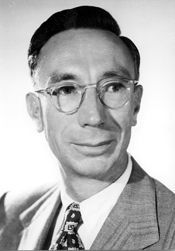 In December 1961, Pawsey accepted an appointment as Director of the recently established National Radio Astronomy Observatory at Green Bank, West Virginia, United States of America. Before taking up the post, he visited the observatory in March 1962 but became seriously ill and returned to Sydney. He died of a cerebral tumour on 30 November that year at the Victoria Convalescent Hospital, Potts Point, and was cremated. His wife, daughter and two sons survived him.